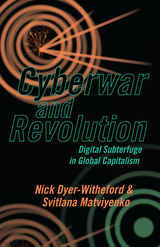 Despite the continued fascination with the Virgin Mary in modern and contemporary times, very little of the resulting scholarship on this topic extends to Russia. Russia’s Mary, however, who is virtually unknown in the West, has long played a formative role in Russian society and culture. 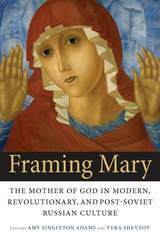 Framing Mary introduces readers to the cultural life of Mary from the seventeenth century to the post-Soviet era. It examines a broad spectrum of engagements among a variety of people—pilgrims and poets, clergy and laity, politicians and political activists—and the woman they knew as the Bogoroditsa. 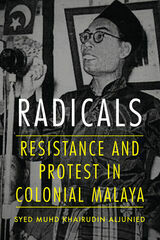 In this collection of well-integrated and illuminating essays, leading scholars of imperial, Soviet, and post-Soviet Russia trace Mary’s irrepressible pull and inexhaustible promise from multiple disciplinary perspectives. 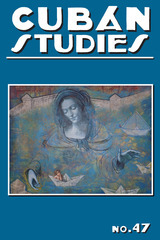 Focusing in particular on the ways in which both visual and narrative images of Mary frame perceptions of Russian and Soviet space and inform discourse about women and motherhood, these essays explore Mary’s rich and complex role in Russia’s religion, philosophy, history, politics, literature, and art. Framing Mary will appeal to Russian studies scholars, historians, and general readers interested in religion and Russian culture. Model Airplanes are Decadent and Depraved tells the story of the American glue-sniffing epidemic of the 1960s, from the first reports of use to the unsuccessful crusade for federal legislation in the early 1970s. The human obsession with inhalation for intoxication has deep roots, from the oracle at Delphi to Judaic biblical ritual. The discovery of nitrous oxide, ether, and chloroform in the late 18th and early 19th centuries and the later development of paint thinners, varnishes, lighter fluid, polishes, and dry-cleaning supplies provided a variety of publicly available products with organic solvents that could be inhaled for some range of hallucinogenic or intoxicating effect. Model airplane glue was one of those products, but did not appear in warnings until the first reports of problematic behavior appeared in 1959, when children in several western cities were arrested for delinquency after huffing glue. Newspaper coverage both provided the initial shot across the bow for research into the subject and convinced children to give it a try. This “epidemic” quickly spread throughout the nation and the world. 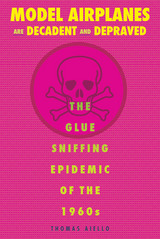 Though the hobby industry began putting an irritant in its model glue products in 1969 to make them less desirable to sniff, that wasn’t what stopped the epidemic. Just as quickly as it erupted, the epidemic stopped when the media coverage and public hysteria stopped, making it one of the most unique epidemics in American history. 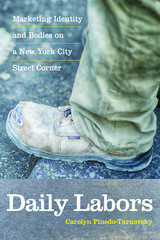 The nation’s focus drifted from adolescent glue sniffing to the countercultural student movement, with its attendant devotion to drug use, opposition to the Vietnam War, southern race policies, and anti-bureaucracy in general. This movement came to embody a tumultuous era fraught with violence, civil disobedience, and massive sea changes in American life and law—glue sniffing faded by comparison. This examination of French trade with Asia analyzes France’s attempt to establish a mercantile empire in the East by breaking into the lucrative market of the Indian Ocean. Between 1664 and 1674, France advanced a vigorous strategy of commerce and colonization. It founded the powerful East India Company and constructed a large royal fleet as the principal instrument for entrenching French power in Asia. Drawing on archival sources, Ames offers a new interpretation of France’s mercantilism in the context of the rise of the world market economy of the early modern period. This study sheds new light on the reign of Louis XIV, the mercantilist theories of Colbert, the origins of the Dutch War, and the Asian trading empires of the French, Dutch, English, and Portuguese during the late seventeenth century. From the late 1940s to the early 1970s, farmers in the Corn Belt transformed their region into a new, industrial powerhouse of large-scale production, mechanization, specialization, and efficiency. Many farm experts and implement manufacturers had urged farmers in this direction for decades, but it was the persistent labor shortage and cost-price squeeze following WWII that prompted farmers to pave the way to industrializing agriculture. 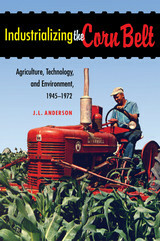 Anderson examines the changes in Iowa, a representative state of the Corn Belt, in order to explore why farmers adopted particular technologies and how, over time, they integrated new tools and techniques. In addition to the impressive field machinery, grain storage facilities, and automated feeding systems were the less visible, but no less potent, chemical technologies—antibiotics and growth hormones administered to livestock, as well as insecticide, herbicide, and fertilizer applied to crops. Much of this new technology created unintended consequences: pesticides encouraged the proliferation of resistant strains of plants and insects while also polluting the environment and threatening wildlife, and the use of feed additives triggered concern about the health effects to consumers. 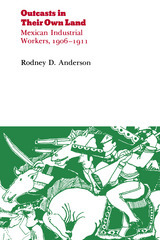 Anderson explains that the cost of equipment and chemicals made unprecedented demands on farm capital, and in order to maximize production, farmers planted more acres with fewer but more profitable crops or specialized in raising large herds of a single livestock species. The industrialization of agriculture gave rural Americans a lifestyle resembling that of their urban and suburban counterparts. Yet the rural population continued to dwindle as farms required less human labor, and many small farmers, unable or unwilling to compete, chose to sell out. Industrializing the Corn Belt—based on farm records, cooperative extension reports, USDA publications, oral interviews, trade literature, and agricultural periodicals—offers a fresh look at an important period of revolutionary change in agriculture through the eyes of those who grew the crops, raised the livestock, implemented new technology, and ultimately made the decisions that transformed the nature of the family farm and the Midwestern landscape. J.L. Anderson seeks to change the belief that the Midwest lacks the kind of geographic coherence, historical issues, and cultural touchstones that have informed regional identity in the American South, West, and Northeast. 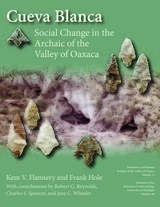 The goal of this illuminating volume is to demonstrate uniqueness in a region that has always been amorphous and is increasingly so. 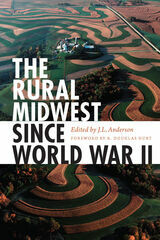 Midwesterners are a dynamic people who shaped the physical and social landscapes of the great midsection of the nation, and they are presented as such in this volume that offers a general yet informed overview of the region after World War II. The contributors—most of whom are Midwesterners by birth or residence—seek to better understand a particular piece of rural America, a place too often caricatured, misunderstood, and ignored. However, the rural landscape has experienced agricultural diversity and major shifts in land use. Farmers in the region have successfully raised new commodities from dairy and cherries to mint and sugar beets. The region has also been a place where community leaders fought to improve their economic and social well-being, women redefined their roles on the farm, and minorities asserted their own version of the American Dream. 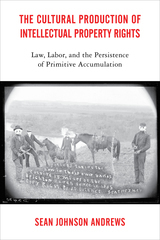 The rural Midwest is a regional melting pot, and contributors to this volume do not set out to sing its praises or, by contrast, assume the position of Midwestern modesty and self-deprecation. The essays herein rewrite the narrative of rural decline and crisis, and show through solid research and impeccable scholarship that rural Midwesterners have confronted and created challenges uniquely their own. Searching for better ways to inspire people to pursue wisdom, Frederick D. Aquino argues that teachers and researchers should focus less on state-of-the-art techniques and learning outcomes and instead pay more attention to the intellectual formation of their students. We should, Aquino contends, encourage the development of an integrative habit of mind, which entails cultivating the capacity to grasp how various pieces of data and areas of inquiry fit together and to understand how to apply this information to new situations. 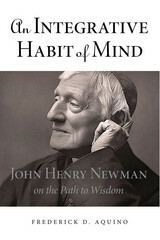 To fully explore this notion, An Integrative Habit of Mind brings the work of the great religious figure and educator John Henry Newman into fruitful conversation with recent philosophical developments in epistemology, cognition, and education. Aquino unearths some crucial but neglected themes from Newman’s writings and carries them forward into the contemporary context, revealing how his ideas can help us broaden our horizons, render apt judgments, and better understand our world and how we think about it. 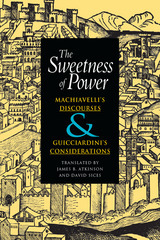 The question of order inspired two of the greatest political thinkers of the Renaissance—Niccolò Machiavelli and Francesco Guicciardini, whose major works on the nature of government are linked in an authoritative new translation. Political adversaries but nonetheless friends, Machiavelli and Guicciardini both reflected on ancient Rome and refined their conceptions of government with an eye to the political turmoil of their own Florence. Based on the definitive Italian editions and including extensive explanatory notes, this new translation re-creates the fascinating conflict that helped to shape the history of political thought. A Commentary on the "Rhetoric"